Home Canada Special Delivery! One Piece of Non Junk Mail! Special Delivery! One Piece of Non Junk Mail! Every once in a while, a little truth about unions and their tactics leak out a tiny little bit. You have to look for it. It’s like sorting through your mail — there’s so much total crap and junk, but the odd time, you find an actual piece of legit mail. I am a female Canada Post letter carrier and I find it insulting how our union has misrepresented the term pay equity. Letter carriers walk over 20 km a day carrying mail door-to-door. It is very physically demanding, as a result, as we get older many of the female carriers transfer to inside clerk positions. Male letter carriers often make it to retirement walking. Most of us however, retire with major physical issues. The Urban carriers who drive deal with heavy traffic and higher mail volume have a significantly more challenging workload than the rural routers. Remember “rural” means country roads, farms, small towns. It is a lot different from driving in downtown Toronto. The strife was partly about pay equity — with the union demanding that rural postal workers (who are mostly women for whatever reason) be paid the same as posties who work in the cities. To a normal person, pay equity means pay equal to those doing the exact same work with the same seniority and experience offering the same value. But the big unions are not normal people. They are referring to pay equity more like in the communist model, wherein every worker (and they yearn for all workers to be state workers, much like yummy Canada Post workers are already) gets paid the same — no matter what the difference is in the job, or the value provided. That’s “pay equity” for them. < And here’s a gratuitous picture of Karl Marx. Both the union and the reporters writing about this know what the commenter knows. The jobs are not the same. But they don’t care. they’re driving an agenda. It’s no wonder near the end of the article, they (1) bother to include; and (2) breeze right by the pertinent facts about an organized campaign supporting the union’s position, included some of Canada’s just oh so totally normal folks like “author” Naomi Klein, and “social activists” Maude Barlow and Judy Rebick. If you don’t know who these women are, I’m glad, but I’ve said in posts over the years that each of these women sound very much like communists to me (Maude Barlow | Naomi Klein | Judy Rebick –all posted by me eight or ten years ago but still worth their weight in gold delivered by CanPar). The Globe and Mail doesn’t even bother attaching a “left-wing” or “progressive” or “socialist” to their names. That’s what you call junk mail. But hey Ann Coulter’s got a new book out — guess they’ll simply call her an “author” too, in their upcoming review. (1) Yeah, as if; and (2) there will be no review, ever. Oh and I imagine they’ll stop being so careful to warn its readers that the venerable old Fraser Institute is the “right-wing” Fraser Institute (eg., “…the Fraser Institute (right-wing or libertarian, depending who you ask)…”). the news media) is one of the most pressing issues facing the world today. Their multimillionaire Justin won’t stop talking about it, multimillionaire Hillary Clinton won’t either, and the you’ve got to be kidding party of Tom Mulcair won’t shut up (but then at least we’re on to them by now — they’re socialists; see above definition of “equal pay”). So yeah, it’s a story. But let’s not sit by the mailbox and wait for Mr. Postman to deliver us a letter. It will never be a story in any mainstream newspaper in this country, or on TV news. This is an industry totally consumed by liberal or even further left activists or sympathizers. All stories are written by one or more unionized reporters who belong to a massive and powerful union very sympathetic to liberals, socialists, or any left-wing, progressive politics generally. They are actually not mere unions but political parties. The Globe and Mail’s union, on a post at their union website: “As a Union, we worked hard to defeat the Harper conservatives…”. Think about that parcel post. This is a story about a huge, unionized, state-owned, government-run operation, Canada Post, as written-up by unionized writers who belong to a huge left-wing union with an overtly left-wing, anti-conservative political agenda, in a typical liberal media newspaper. It’s a liberalfest. 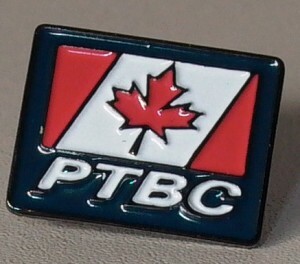 Good thing there are still some union members willing to speak up and non-union websites (unlike news media sites) like PTBC, or we’d never get the whole truth delivered to our door. Today in liberalism: a Canadian Liberal government committee proposes socialism.